On August 17, 1999, Public Law 106-50 was legislated. It established the infrastructure and goals for federal and prime contracting for veteran owned small businesses. Today there are over 14,000 verified veteran owned small businesses and Mediapolis is one of them. 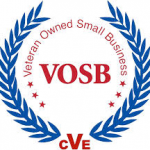 Mediapolis, LLC was certified as a Veteran Owned Small Business (VOSB) by the Department of Veterans Affairs, Center for Veterans Enterprise (CVE) in 2015. • Participate in the Veterans Administrations Mentor-Protégé Program. Mediapolis, LLC is listed in VetBiz.gov’s Vendor Information Pages, which is is a database available to VA offices, federal agencies and the public to make finding veteran owned small businesses easier to find and do business with. To receive Veteran Owned Small Business certification, businesses must submit extensive documentation that is examined and evaluated by the CVE. We recognize the commitment to supplier diversity that is embraced by corporations and government agencies and we look forward to adding diversity to your supply chain. Mediapolis, LLC is a full service multi-media company based in Minneapolis, Minnesota offering professional and affordable services. We provide video production, website design and photography solutions for government, businesses and individuals.